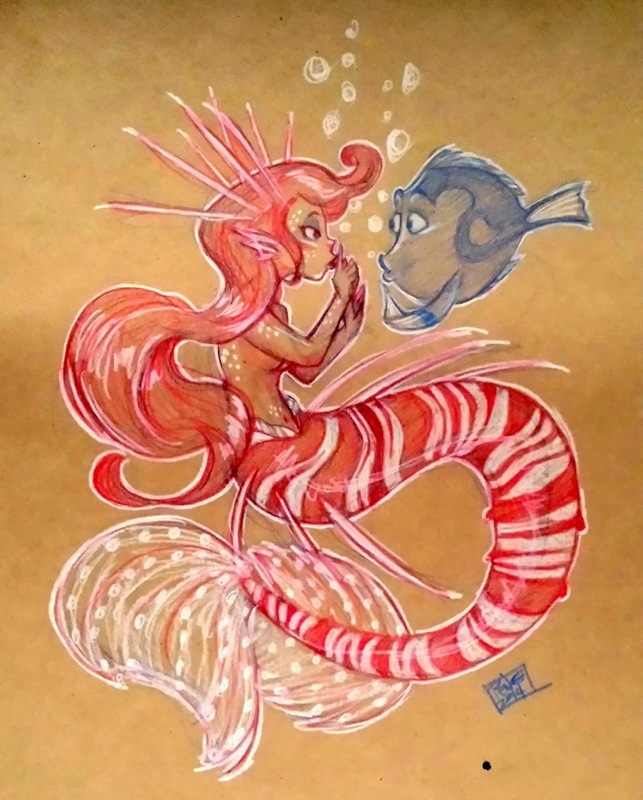 just wanted to share one of my sketches from last week's sketch_dailies theme of MERMAIDS! which, u may or may not know about me, is something i couldn't pass up. i've been wanting to draw some mermaids with that weird fish look. i think they're called like tiger fish or something, but when i google that, this crazy monster-looking fish pops up too. so i'm not sure what the actual species of fish this is, but its those wild-lookin fish. =) anyways, i also just threw Dory in there from Finding Nemo cuz i love Disney stuff. i wanted to not draw Ariel (cuz i do that all the time) but something disney squeezed in there anyway. besides, i think Dory's a great secret keeper. mostly cuz she'll just forget. putting this mermaid next to Dory makes her a very tiny mermaid though, which wasn't what i was going for. but whatevs! the only bummer thing is that i noticed when we got our copies of the book that they didn't give me INKER credit. BUT they've since apologized (sincerely, even) and they promised to make sure it's fixed for the future issues. 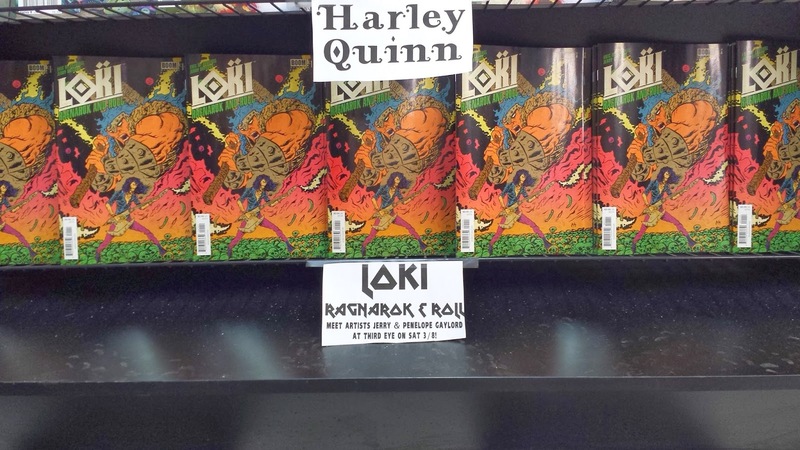 our local comic shop, Third Eye Comics, even made a whole row for the book and have been recommending it to their customers. gotta love that local comic shop love! we'll be doing a signing for the book at the shop on Mar. 8th so that's really exciting too!